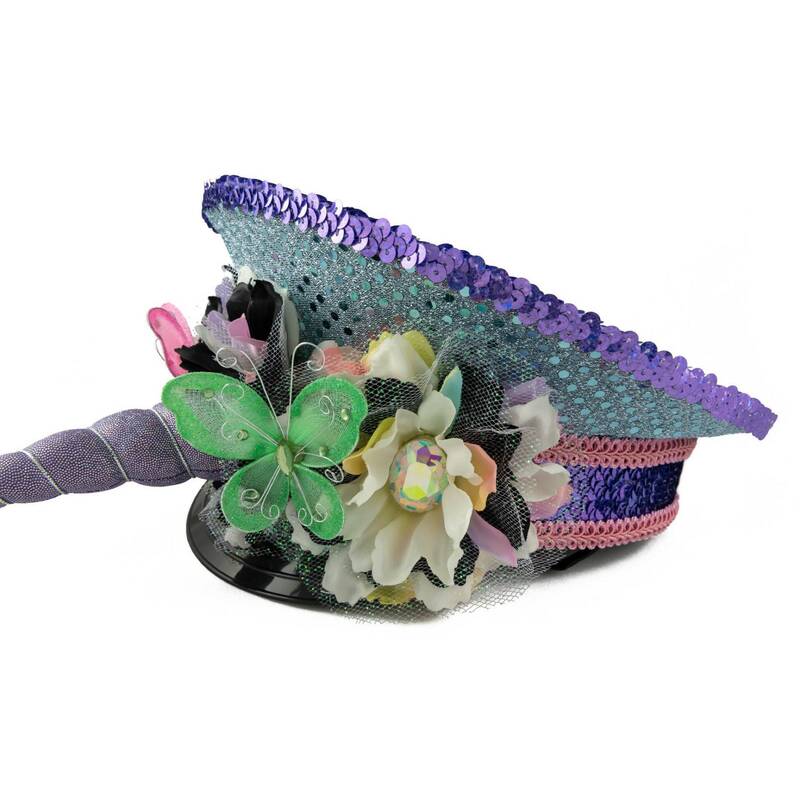 You will look like the most amazing unicorn when wearing this original Kitty Katrina design - our Pastel Rainbow Unicorn Captain's Hat! 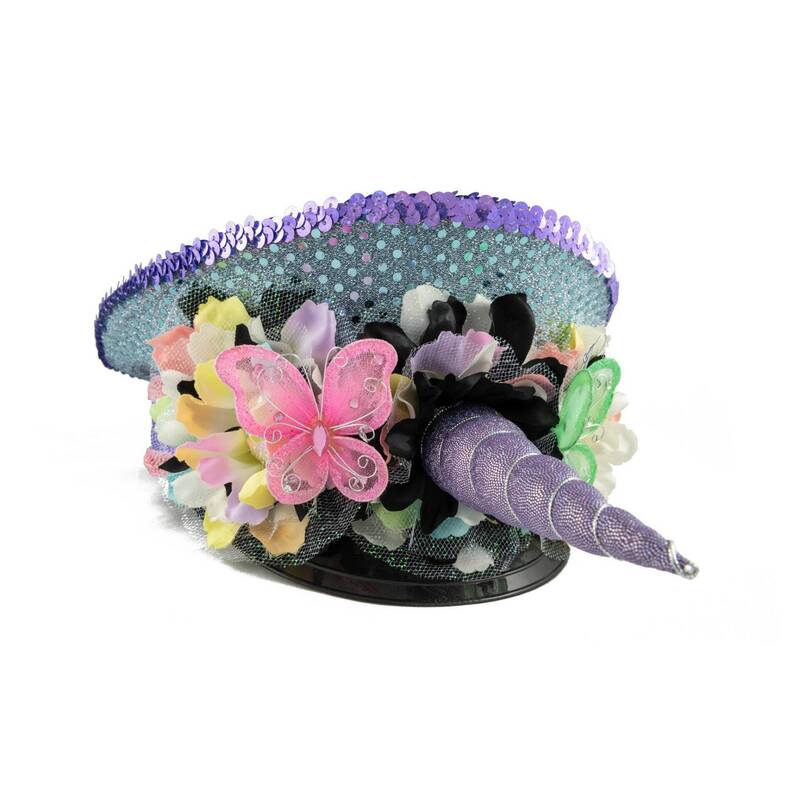 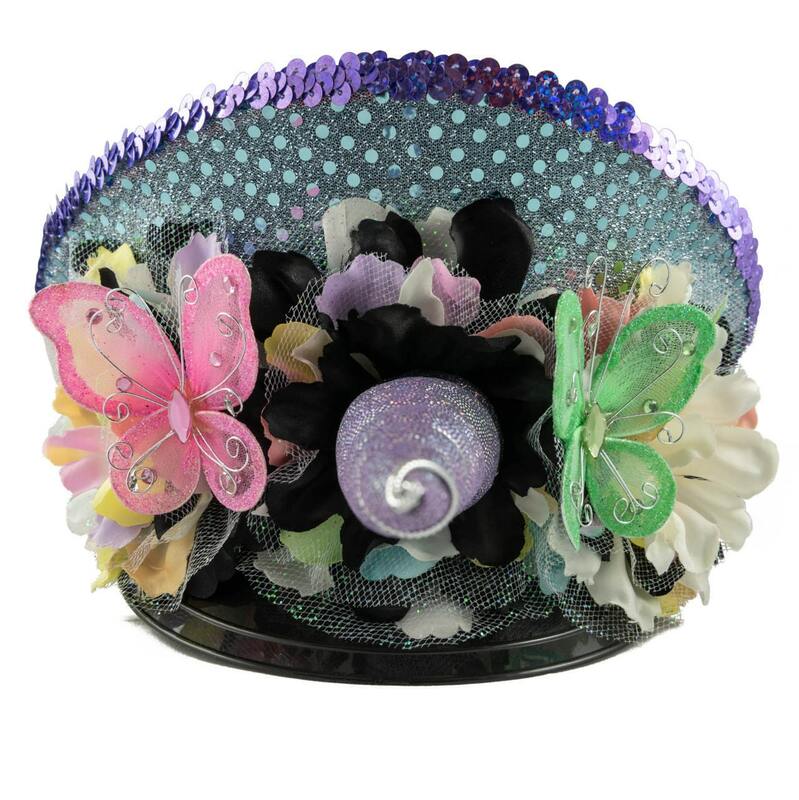 This hat features handmade, silk pastel rainbow / black / cream / sparkling tulle flowers accented with sparkling iridescent rhinestones; large pastel pink / green rhinestone butterflies, and a lavender / silver holographic unicorn horn. 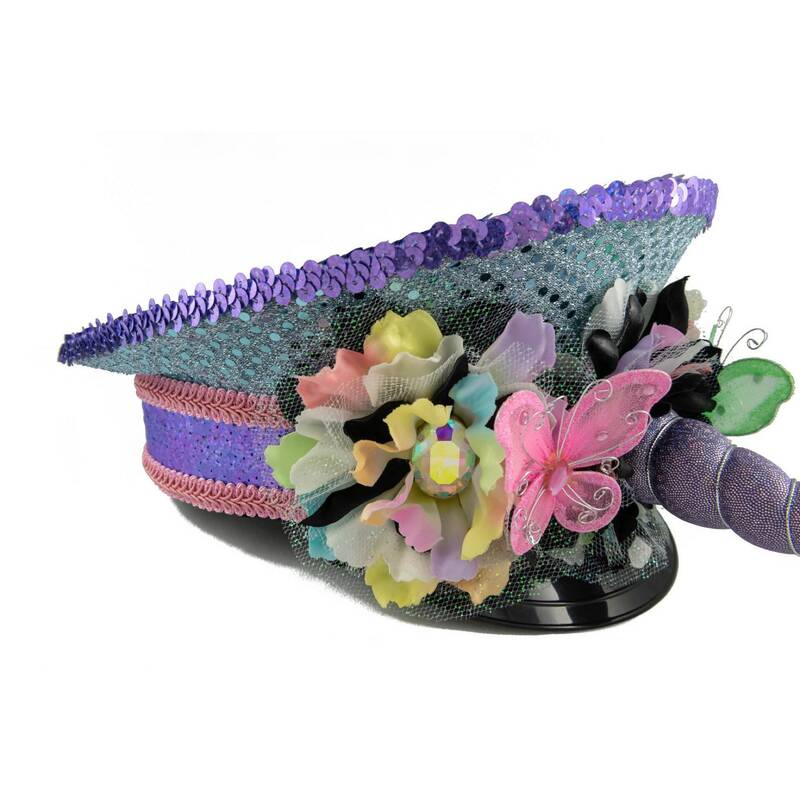 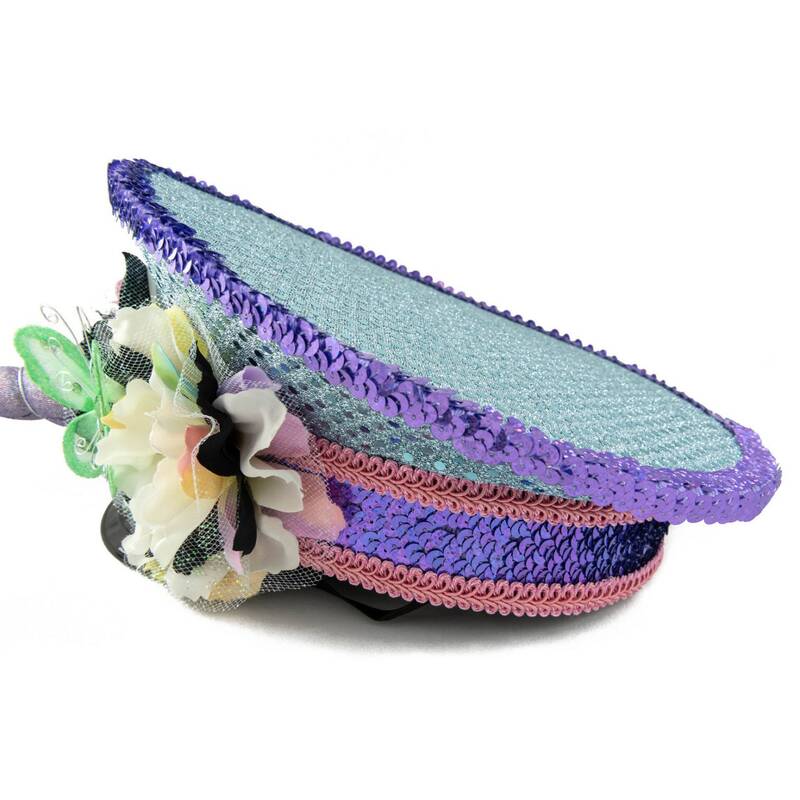 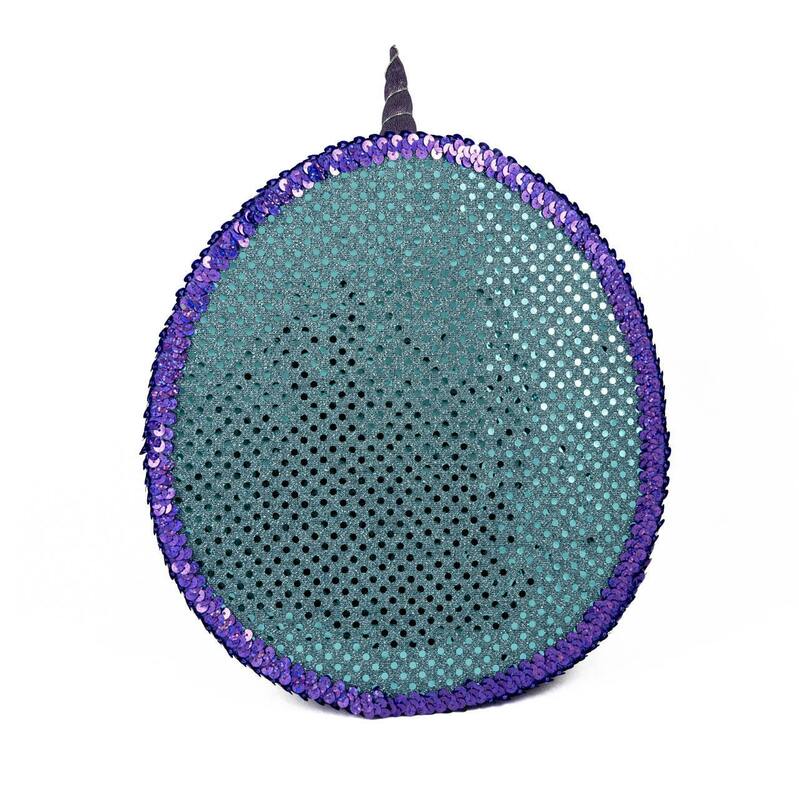 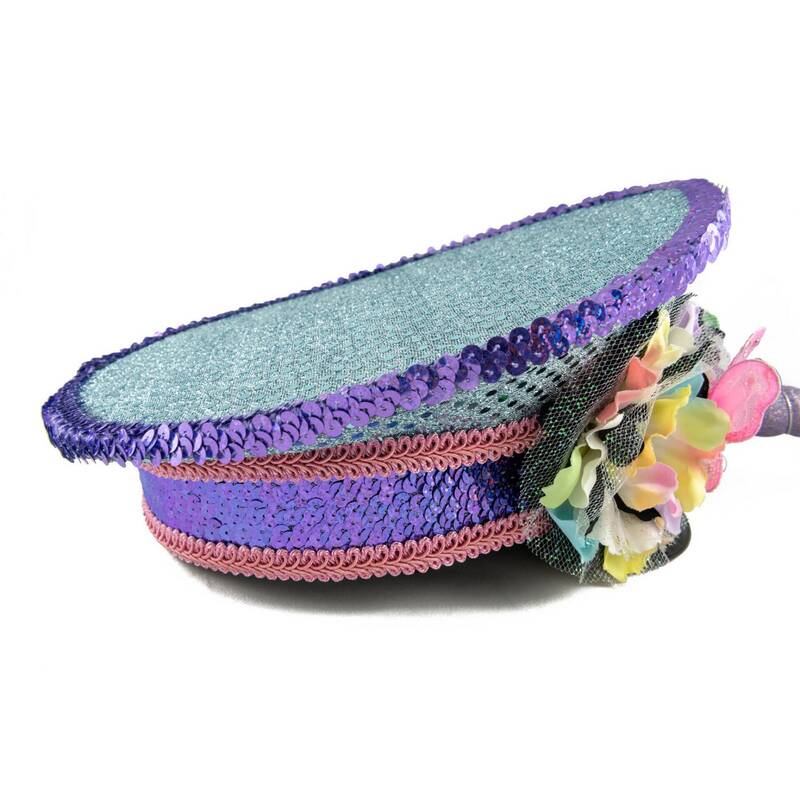 The hat is professionally lined with pastel blue sequin fabric and holographic purple / pink trim.